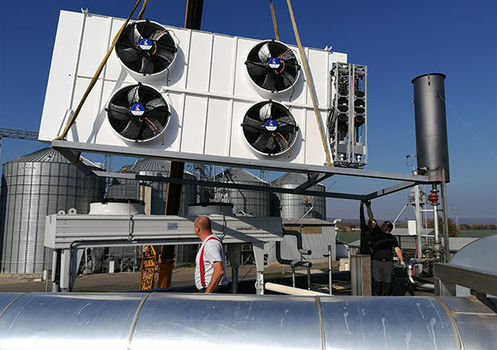 Úspěšná instalace prvního chladiče s nulovou spotřebou - Novinka - B:POWER, a. s.
We are pleased to announce that B: POWER has installed and commissioned the first-ever zero-eco-cooler - eCooler. It is an innovative heat sink that uses residual heat to convert to power and heat the fan cooler. The fans are regulated according to the required temperature. In this case, it is a dual cooler that is installed on the cogeneration unit motor and serves to cool both the low-temperature engine circuit (LT circuit) and the engine cooling circuit (HT circuit). And the result? Zero own consumption and savings on average 10kWel every hour! This ORC cooler has extended a fleet of more than 130 ORC units that we currently service.